Franklin & Navaro Remix Contest Winners! 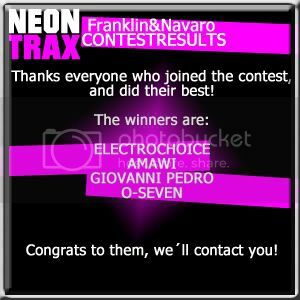 Neon Trax has announced the winners of the Franklin & Navaro Remix Contest. Right now I only have the winners’ name, let’s see if I get more info about them .